What we suspected all along has been proven to be so today in the preliminary census results. 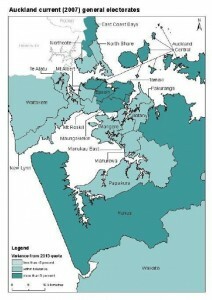 Waitemata Local Board area has far more people living within its midst than official statistics have indicated for years. Mainland Auckland Central, which comprised approximately 69% of the population of Waitemata Local Board area in 2006 of 70,300 now has an official population of 70,406, as opposed to the notional official population of the whole of the Waitemata Local Board area in 2012 of 71,600. That makes the total number of Waitemata residents closer to 92,000. A large number of those extra residents will live in the City Centre and fringe. The Waitemata Local Board area has been one of the most under-represented areas in the Super City structure for the last three years, and that is set to continue for another three years before representation is adjusted. No wonder the City Vision-majority heavy-lifter members of the Board have had to work so hard representing the community, and will continue to do so.